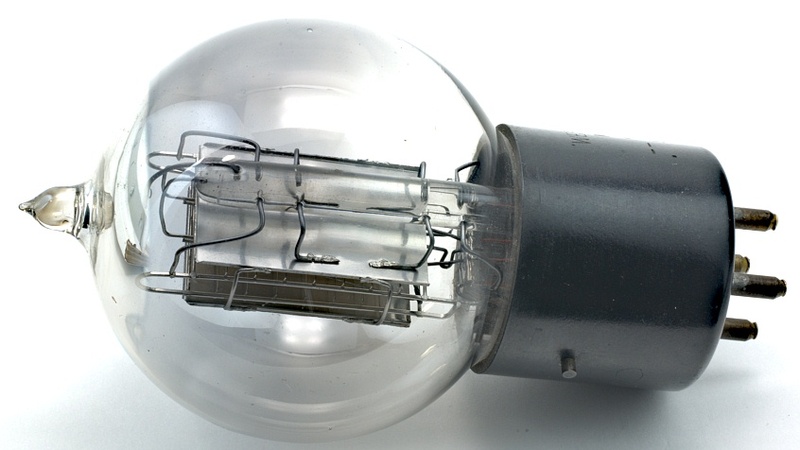 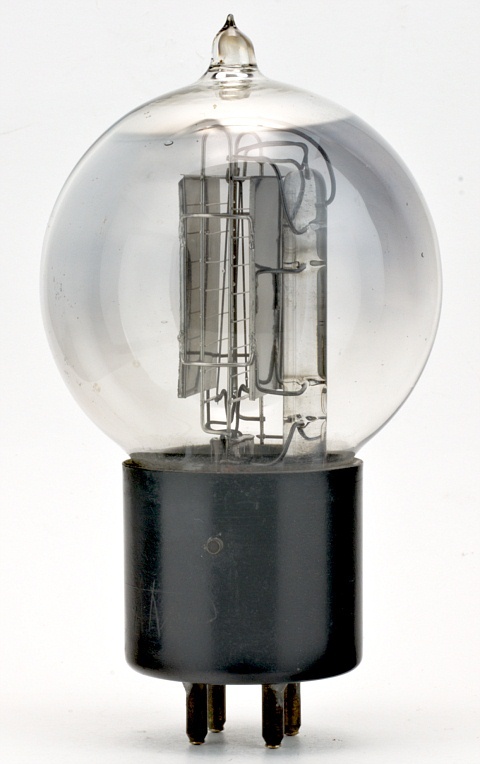 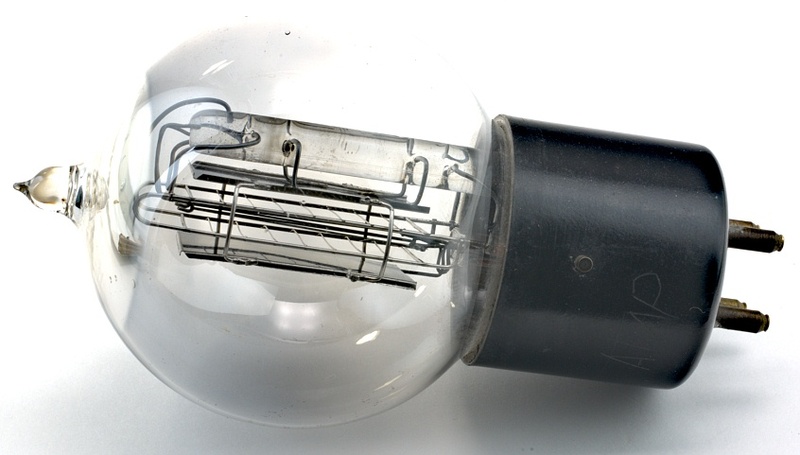 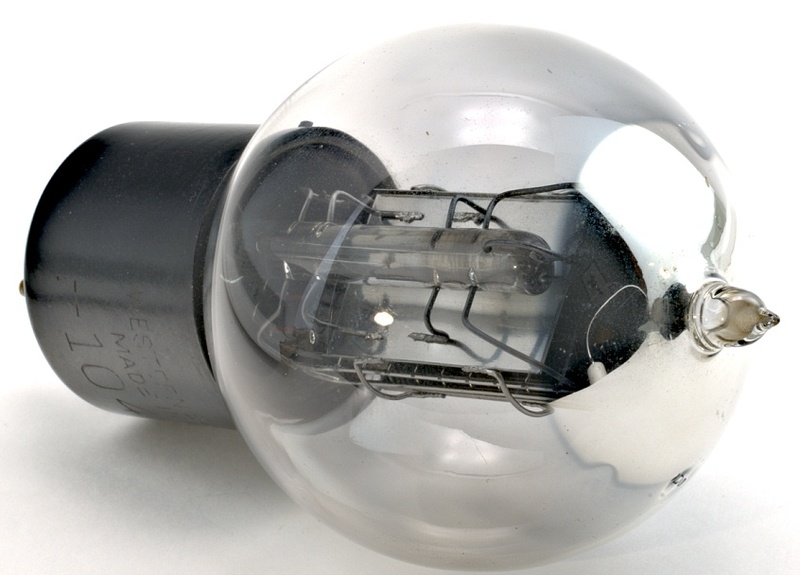 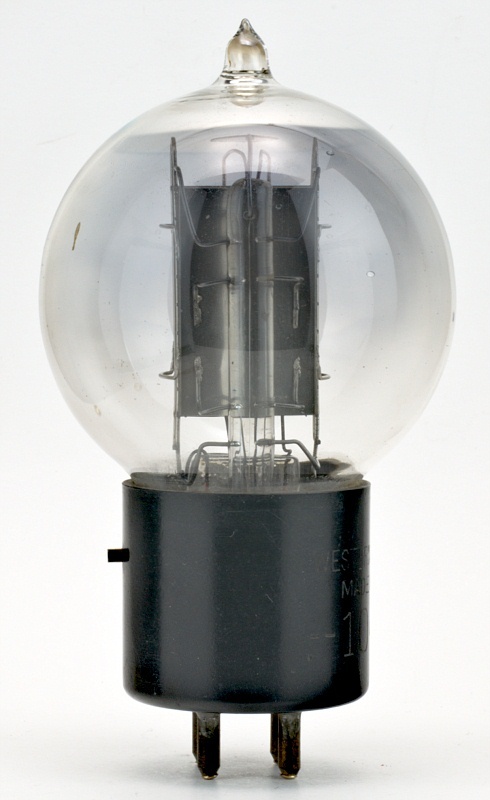 Triode power amplifier that replaced 104A and D-86327. 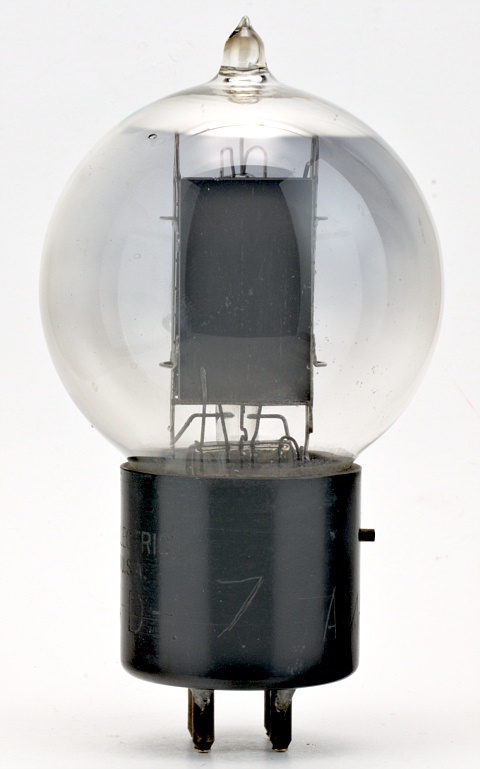 Used as a voice- and carrier-frequency amplifier for telephone repeaters requiring greater power output than could be obtained with the 101D or F. Also used as a volume limiter in carrier equipment. 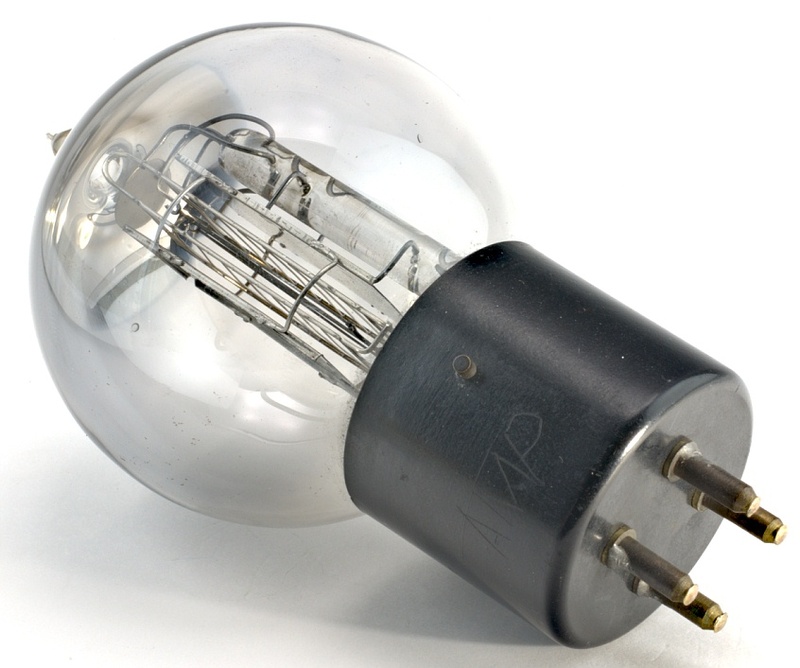 Ba-Sr-Nickel core filament.